You didn’t think we’d give you a list of podcasts you should be listening to and not start with ours, did you? Wait, you’re not listening to our podcast?! Go subscribe. Here are five ways you can do that: iTunes, Stitcher, Tune In, Google Play, Android. If you need help subscribing, CLICK HERE. We do our best to offer to-the-point, practical, helpful, in-depth, topical training delivered to your ears each month. Go give it a listen (or if you want to sample first, check out our Podcast Page). David Santistevan somehow manages to find incredible guests on a weekly basis for his Beyond Sunday Podcast. David has been doing this podcast for over three years, and has close to one-hundred-fifty episodes already archived! David interviews famous worship leaders, wise authors, and unknown church pastors, all with the goal of helping you grow in your craft as a worship leader. If you want to hear from worshippers all over the world, definitely check out the Beyond Sunday Podcast. My newest favorite! The Hillsong guys are so far beyond my current abilities and thinking patterns when it comes to creativity, team building, culture, and leadership that every episode feels like a masterclass. I am so inspired to hear a group of people who are so excellent at what they do, yet are so humble, thoughtful, wise, and hungry to keep growing. If you want to up your game and expand your thinking, you definitely need to subscribe to the Hillsong Creative Podcast. 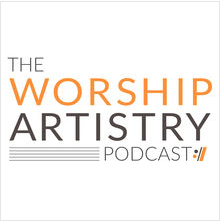 Worship Artistry may be newer to the podcast game, but they definitely aren’t new to the worship training game. Worship Artistry is one of the premier websites for video tutorials on songs, gear and tone. Now with the podcast, they break into your ears to share insights about worship and worship leading. They’ve had some great episodes covering each of the instruments and their role within the band. This is definitely one you can share with your team members! Many worship leaders wear multiple hats. Many of us are tech directors, graphic designers, website administrators, video producers and more! 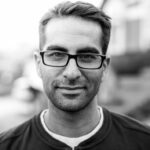 Brady Shearer has done an incredible job with the Pro Church Podcast teaching you how to go from amateur to pro in all things related to church tech and communication. If your role is more than just leading music, and you feel like you want some help with all this “other” stuff, then this podcast is for you! Weird name, great podcast! If you’re a true church leader, you should care about more than just the music. The Carey Nieuwhof Leadership Podcast is a fantastic podcast for Church Leaders. Carey interviews some incredible guests such as Andy Stanley, Louie Giglio, John Acuff and more. Carey does a great job of keeping the topics centered around a single theme and asking practical and useful questions. This is definitely a must for anyone in ministry. This is hands down the best leadership podcast I have ever listened to. In twenty minutes Craig gives you more leadership gold than you know what to do with. Craig starts out by answering two listener submitted questions (which is always fascinating), and then dives into a topical teaching on leadership that is so deep and so clear, you’ll wonder if this man is from another planet! I love this podcast, and you will too. Once a month doesn’t come around fast enough! 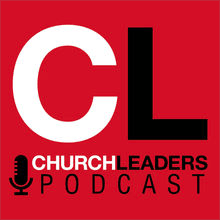 Andrew Hess does an amazing job with the Church Leaders Podcast. A relatively new podcast, Andrew interviews some of the top thinkers in the church today about topics of great importance. Always brief and to the point, this podcast will definitely get you thinking more broadly about your role in the church, and your church’s role in the world. Ask Pastor John is your daily dose of thoughtful theology and answers to difficult questions by one of the most influential thinkers and theologians of our time. Balanced, fair, and wise. How could you go wrong? 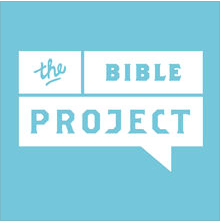 The guys from The Bible Project have created a rich, academic, yet accessible podcast that will help you better understand the literary context and meaning of the Bible. Whether you consider yourself a “theologian” or not, you ought to deepen your understanding of the inspired word of God. Check out The Bible Project Podcast HERE. So those are our top ten podcasts for worship leaders. Leave us a comment so we can check out your favorites! Have enjoyed most of the one listed (happily including WMT’s own!). Knowing Faith from The Village Church is excellent, and the Exceptional Worship Podcast by John Nicol also helpful. Thanks Neil! I also really liked Jon Nicole’s podcast. I was sad he stopped updating it. Thanks for the suggestions!